How you should get ready for a first date! 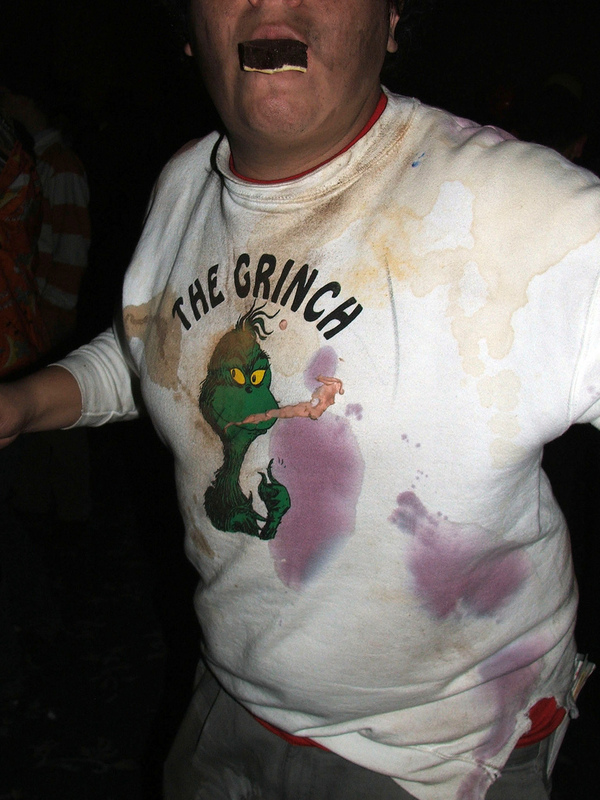 While it’s tempting to believe that any woman will fall at the feet of a greasy, beer-bellied, belching guy with spaghetti Bolognese stains all over his t-shirt (he ate Bolognese three days ago), we all know that slobs rarely get the girl. Instead, it’s those well-groomed, Brad Pitt types that women swoon over. You know– guys with six packs that would make an advert for Diet Coke look tame and a jawline so sharp that it could chop down a great oak tree with its manliness. Yeah, you’re thinking, but I’m not the manly type. Well, that’s fine too. While you don’t have to have puffing pectorals and a bizarrely neat jawline, it is important to look presentable if you’re after a decent ladyfriend. That’s exactly why we’ve put together a few tips and tricks to make you look good for that all-important first date. That greasy guy at the start of the article is pretty much definitely not getting a woman anytime soon. You’ve just got to look at his complexion – spots and clamminess all round. That’s why your first port of call is to find a set of skincare products that will give you a cleaner, clearer look. One of the best product ranges on offer is Proactiv, which effectively gets rid of blemishes and clears up pores. The healthiness of your skin could be the difference between a successful date and a failure, so make sure you’ve got it covered. Forget those ironic t-shirts and casual Converse you love to wear in your daily life – when you’re going on a date, the important thing to remember is that you’re dressing to impress. In many ways, a first date is like a job interview. Throughout the meal or wherever you’ve decided to go, you’ll be proving yourself to this woman like you’re handing her some kind of relationship CV. And, when showing up to your interview, you’re going to need to dress just right. Of course, you don’t want to put in so much effort that you look like a reject from GQ magazine – get a shirt and trousers that make it look as though you just threw something that classy together before you left the house. Effortless style is the most impressive kind. Aww, man, well done – you made it to the second date! But, the way you can ruin it all is by showing up in the same outfit as last time, so change-up your style to maintain interest. Like everything in a relationship, keeping things fresh will make your date go smoothly and give you the look of a style icon.